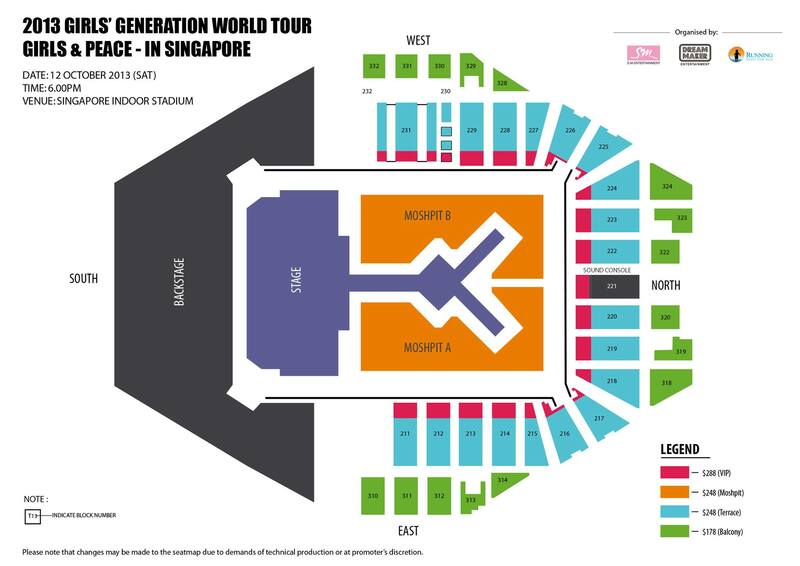 2013 GIRLS’ GENERATION World Tour – Girls & Peace; in Singapore! SONEs, are you excited!? Girls’ Generation will be back in Singapore to hold their second solo concert, 2013 GIRLS’ GENERATION World Tour – Girls & Peace – in Singapore on 12th October, at Singapore Indoor Stadium. The nine member group consists of Taeyeon, Jessica, Sunny, Tiffany, Hyoyeon, Yuri, Sooyoung, Yoona and Seohyun! For more information, visit Running into the Sun’s Website, Facebook or Twitter. Follow us via Twitter & Like our Facebook to get more updates about events happening in Southeastasia (Main in Indonesia).